Biomass mainly refers to straw, trees and other lignocellulose in production process of agriculture and wood, except to grain, fruits. It also includes waste from farming industry, livestock manure. It is renewable, low pollution and extensive distribution. 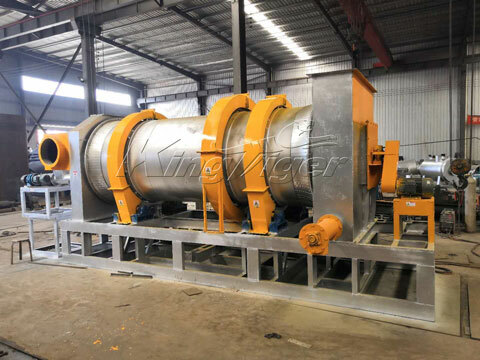 To better dispose these waste materials, Kingtiger has developed the famous biomass pyrolysis plant for sale, to turn biomass (including wood chips, bamboo, plant straw, sawdust, palm shell, coconut shell, etc.) into charcoal and biogas by carbonization technology. 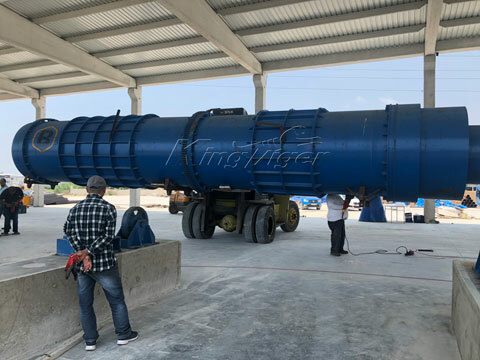 Kingtiger Group is a top manufacturer of biomass pyrolysis plant; we have decades of experience in manufacturing pyrolysis plant of waste tire, plastic and biomass. 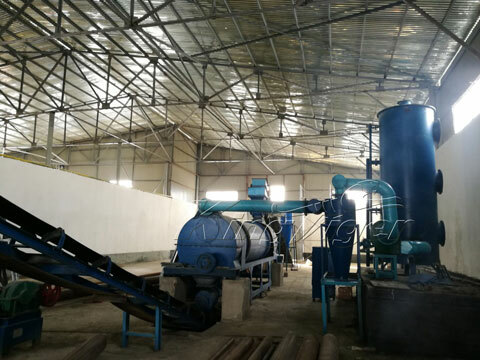 Our biochar pyrolysis plants are popular with customers due to its energy conservation and environmental protection, low cost but high output, longer service life, as well as simple operation. 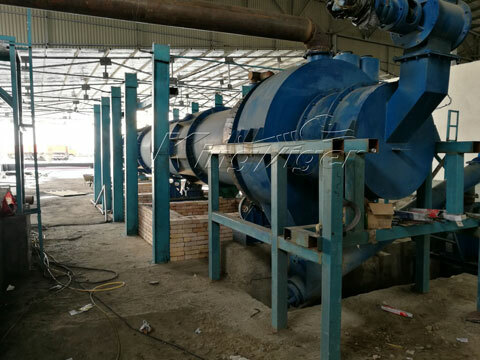 Pyrolysis of biomass refers to turning rice husk, palm shell, wood waste and other biomass materials into charcoal and biogas. It not only has solved waste of agriculture and forestry, but also produced alternative energy for fuel. It is a good opportunity to invest. 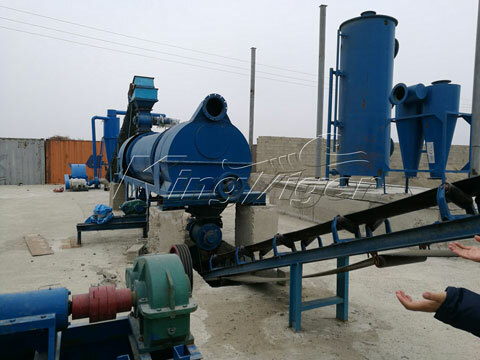 The biomass pyrolysis plant in Kingtiger can be also called biomass charcoal making machine, biomass waste recycling machine, biochar pyrolysis equipment, biomass carbonization plant, etc. Synthesis gas is back to pyrolysis reactor as fuel to heat reactor, it is also can be stored as fuel for heating. 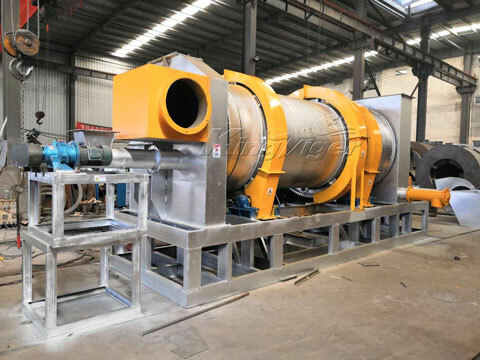 The biomass pyrolysis plant for sale with advanced carbonization technology has been exported to many countries. 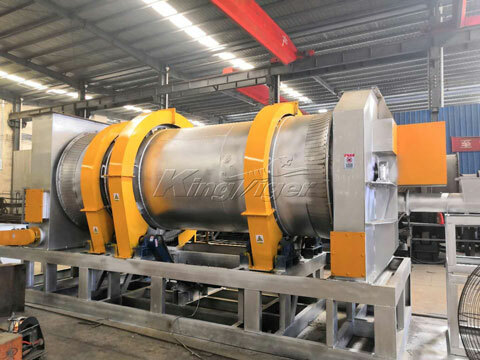 As a professional pyrolysis plant manufacturer, Kingtiger will provide you with high-quality products, advanced technology, safety guarantee as well as top-class service.